Heroes come in many forms. They can be clad in black or draped in a red cape, protecting a city. They can be fighting for a just cause or they can be non-violent resistance leaders in thoughtful pause. They can be titans of industry advancing an economy or they can even be a working class hero raising a family. What is the same thread uniting all of these is that these are all something to be admired, something to look up to and something to aspire to. Among motherboards, it is ASUS’ Republic of Gamers line that has consistently been an inspiration and has been imitated by its peers. 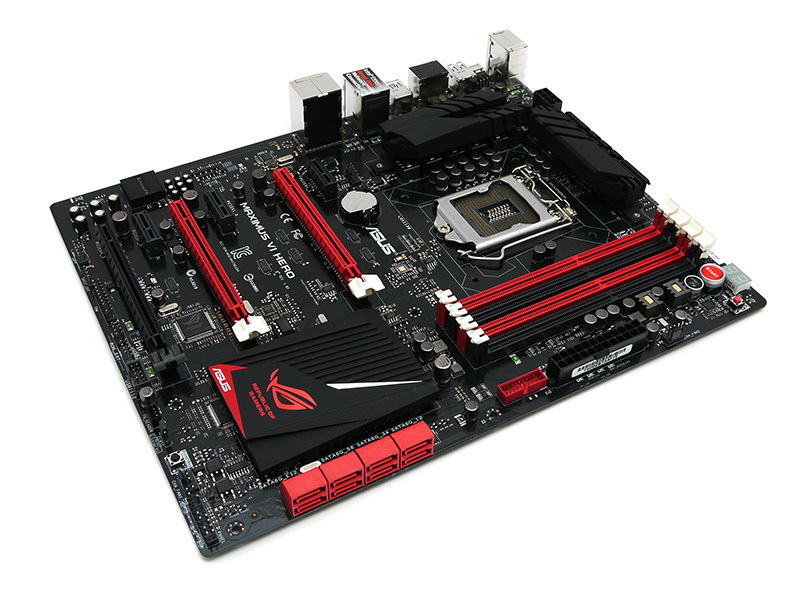 The Republic of Gamers motherboard line has embodied the pinnacle of ASUS and even motherboard design itself for several years now, achieving its primary goal of providing peak overclocking and gaming functionality with top-tier audio, connectivity and network subsystem performance. This naturally places the Republic of Gamer’s motherboards at a price range that is beyond what most users can afford. It just stands to reason that top-tier performance comes at a top-shelf price…that is until the release of the ASUS Maximus VI “Hero”, a streamlined RoG motherboard that takes a more no-frills approach to design so it can be offered at a $200 price-point without sacrificing the Republic of Gamers build quality. The ASUS Maximus VI Hero motherboard has a standard ATX form factor featuring high-end components and an all-digital 8-phase Extreme Engine DIGI+III design for stable Haswell overclocking. The Maximus VI Hero also features ASUS’ “Red Line” audio subsystem isolation design for minimizing interference while delivering superior audio output. The Maximus VI Hero has an MSRP of $219.99 but is currently available in retail stores such as NewEgg.com for $199.99.